Absolutely incredible. I'm so glad he did manage to publish that book since he might otherwise have slipped into obscurity. I shudder to think at the Masters who have without any written record of their work. Thank you for sharing this, Alan! 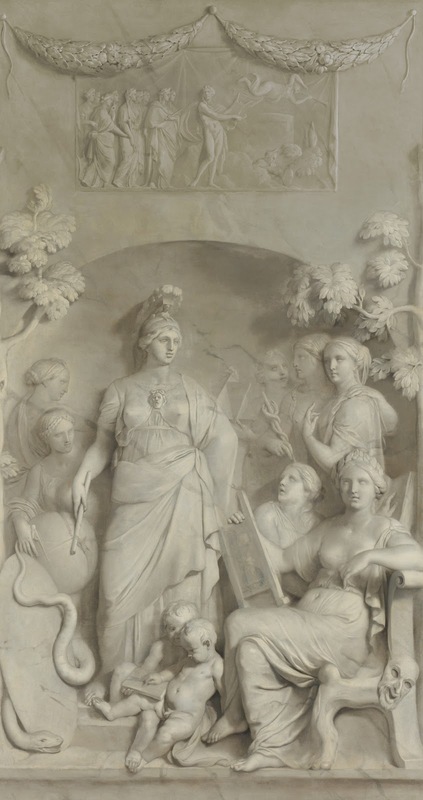 My grisaille "hero" is Jacob de Wit, who was unless de Lairesse, specialised in grisailles. I've seen quite a bit of his works in the Amsterdam canalhouses and institutions and even when very close it is hard to tell the real paintings from plaster ornaments. Not much is written about him but Google Images shows quite a few works. What an absolutely fantastic blog you are doing!!! Merci beaucoup for all the great works and ideas you are sharing.